Caren Schwartz — founder of Time & Cents Consultants, LLC — is a member of Intuit Accounting Professionals Trainer, a Qvinci Master Guru, and an Advanced QuickBooks Certified Professional Advisor. She specializes in legal and professional services and linking QuickBooks to billing and practice management software including TSheets, Tabs3/PracticeMaster, Time Matters Billing Matters, Timeslips, Timesolv, Clio, and others. 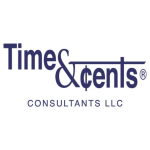 Work For Time & Cents Consultants? Claim This Page.